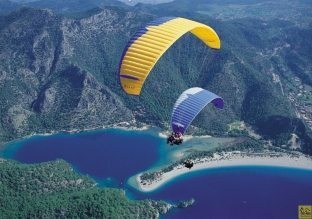 Head to Oludeniz Turkey which is “the” most famous beach and area in Turkey and enjoy the highs of 25 degrees offered by their warm month of May. The end of May is ideal for a beach holiday in Oludeniz as the weather has heated up from late spring and feels more like early summer, without the floods of tourists soon to arrive in June. Natural preserves such as the blue lagoon and butterfly valley offer breath-taking breaks from the beach and the welcoming atmosphere and warming hospitality might even make you never want to leave! There is thousands of Brit expatriates in the Fethiye district of Turkey, and if you feel a desire for a more permanent belongingness to this charming town, Orka Homes offers holiday homes and villas in the area – an investment that will save you paying for those over-priced hotels!